I know you might have read the title like, "What?" lol. Let me explain...This weekend, I was a seller at the First Timothy Baptist Church Flea Market in Newark, NJ. God is good! Thank you to everyone who came out and supported! It rained, but God still worked everything out (smile). 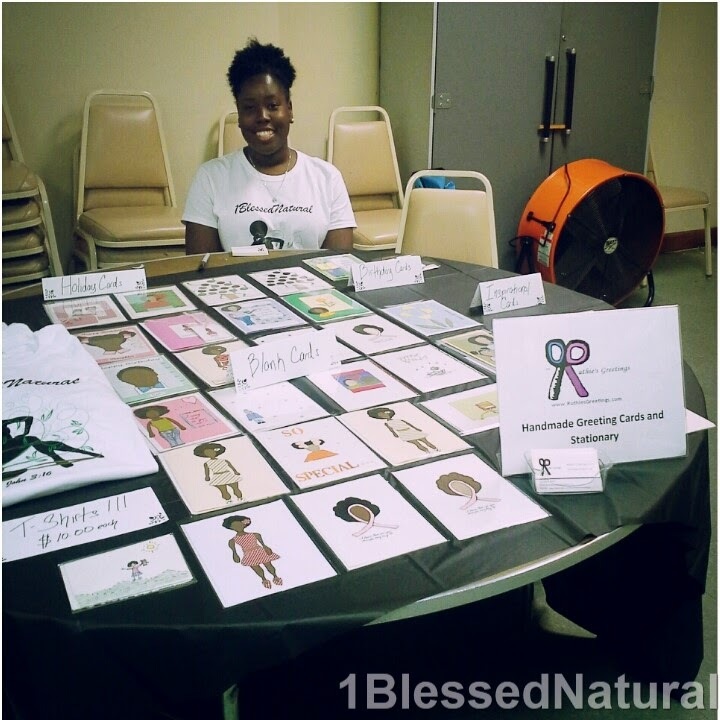 I had some of my natural hair (Ruthie's Greetings), greeting cards and 1BlessedNatural t-shirts on display for sale. Thank you (once again) to everyone who came out. I will keep you all updated on my next event dates! In hair related news, I've come up with another new style. 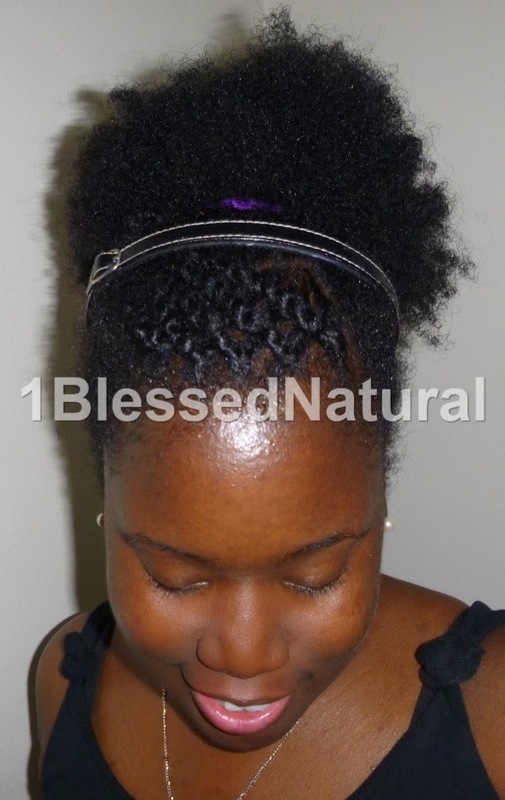 It's similar to the Puff with Flat Twisted, Swoop Bang hairstyle! Last night, I created a triangular part in my bang area. Then, I created small diagonal parts and cornrowed each section of hair towards my forehead. When I got to my forehead, I two-strand twisted the section of hair. After creating 5 cornrow twists, I put the rest of my hair in a puff. 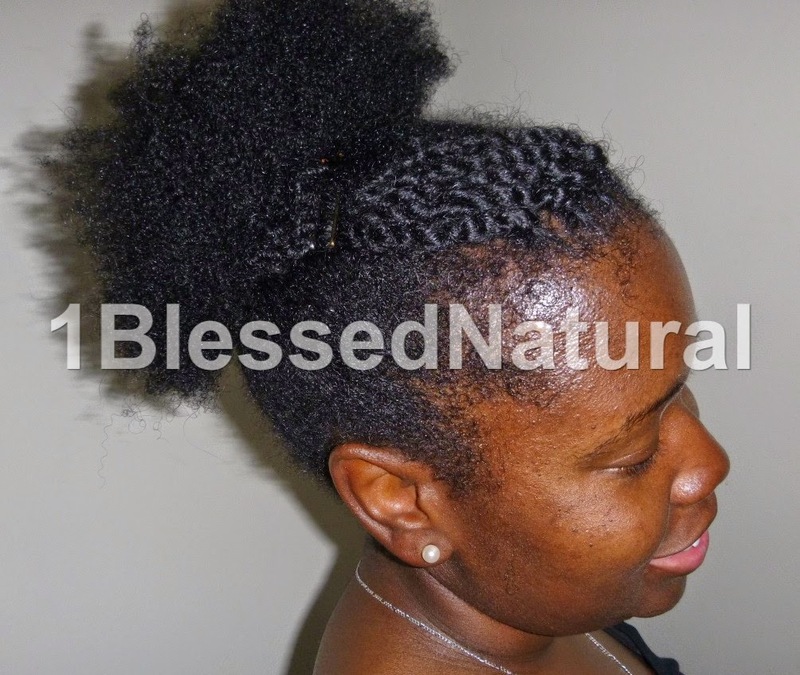 Then I took the cornrow twists and swung them to the back towards my crown area, and pinned them right underneath my puff. This technique created a kind of stitched look. Don't forget to enter the 1BlessedNatural and Mary Kay Giveaway! 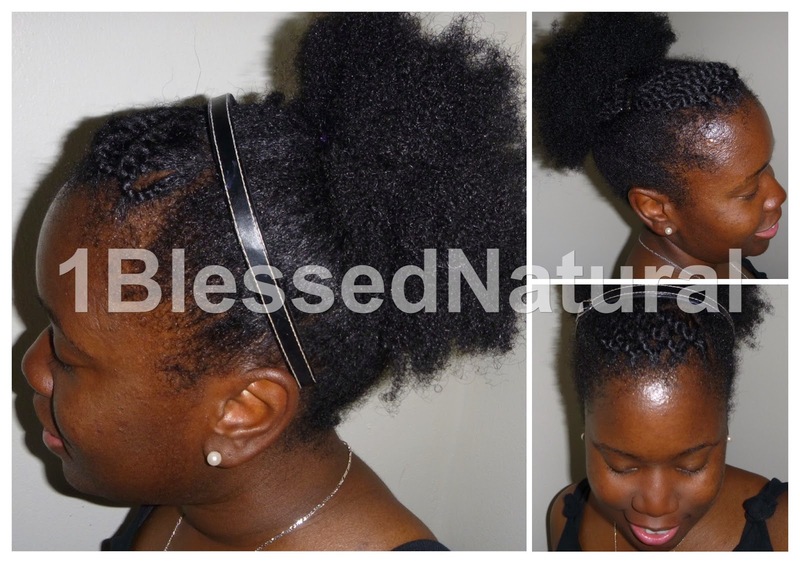 What natural hairstyle did you wear today?